Available Only Through Turnbull Restoration. A Turnbull for Every Collection. No Vintage Restoration Required. The performance you expect from shooting an icon. The feeling you get from owning a Turnbull. 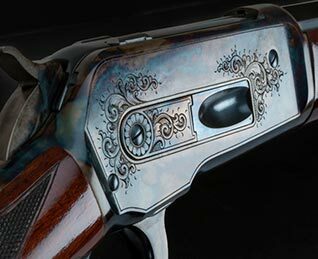 Turnbull Restoration Co., Inc. is the most recognized name in vintage firearm restoration, period correct metal finishes such as traditional color case hardening, charcoal bluing, rust bluing and nitre bluing, as well as custom reproductions of iconic firearms such as Winchester 1886 and Colt 1911. 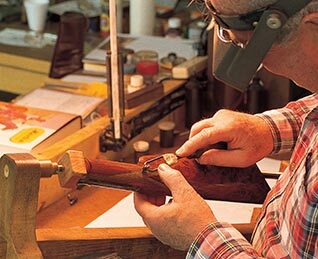 Turnbull has been dedicated to the faithful and accurate restoration and custom upgrades on vintage rifles, shotguns and handguns for over 35 years. Done correctly, an authentic restoration provides a look into the past while preserving important pieces of history and cherished memories. 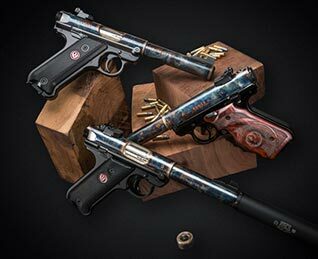 Iconic models from Ruger, Winchester and Marlin are among this collection that honors legendary American gunmakers. The same passion and attention to detail that’s invested in every firearm restoration project goes into our newly-manufactured guns as well.